Rent villas and apartments in Bošana, Croatia. Treat yourself to a luxurious holiday and spend the most beautiful days of the year in this dream house in a quiet location! The ground floor has comfortable and fashionably furnished rooms. 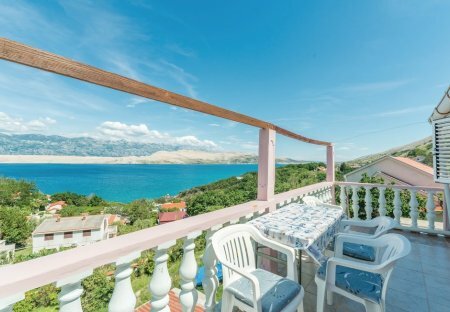 Enjoy the beautiful view to the crystal-clear sea of the Adriatic Sea, from the balcony of the holiday apartment, where you can relax in the long summer months.